Props to Steve Jobs. Even though he (personally) didn’t invent iTunes, he certainly oversaw the project. (And had plenty to say about it.) Say what you want about the digital music age, but one good thing is that you can make playlists (what people called “mixed tapes” in 1985) in seconds rather than real time. Mid-1980 was a good time to be Queen. The band had just released its biggest hit to date, the Elvis-influenced “Crazy Little Thing Called Love” in advance of its eighth studio (and ninth overall) album The Game. 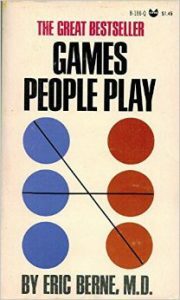 The second single, “Play The Game” was released concurrently with the album; although the previous single (and eventually the album) both would be #1 hits, “Play The Game” only manage to peak at #42. 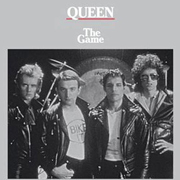 Despite the moderate success of the second single, there still was some life left in The Game; the third single, the monster funk/rock track “Another One Bites The Dust” also peaked at #1 and became Queen’s biggest hit single, at least on this side of the pond. Unfortunately, that was the apex of Queen’s career; no future albums or singles (save for “Bohemian Rhapsody,” reissued after vocalist Freddy Mercury’s death in 1991) ever ventured so high on the charts. In fact, after 1982’s Hot Space fiasco, Queen never toured the United States again. Trivia: One of Queen’s three September 1980 concerts at Madison Square Garden was my first concert experience. 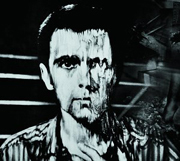 Peter Gabriel has the dubious distinction of having his first three albums self-titled. Whether that was on purpose or he just couldn’t think of appropriate names for them remains an enigma; they are nicknamed Car, Scratch and Melt due to their artwork. While Peter Gabriel had achieved a solid reputation in the rock world due to his tenure in Genesis, he was hardly a household name. Apart from his debut single “Solsbury Hill,” no track of his was played on the radio. That changed in 1980 when “Games Without Frontiers,” the first single from Melt hit the airwaves. The unusual song, paired with an equally unusual video, was a large hit in the U.K. (#4), but stalled at #48 in the States, exactly twenty positions higher than “Solsbury Hill.” It would take Gabriel another two years to hit the American Top 40; “Shock The Monkey” peaked at #29 in late 1982. Trivia: Peter Gabriel reunited with Genesis for exactly one concert in October 1982; the concert was held to pay back Gabriel’s debt for his financially-doomed WOMAD Festival. After years of playing every bar in middle America, Cheap Trick finally began to make some noise nationally following their third album, Heaven Tonight in 1978. An unexpected hit with a live album (At Budokan), a hit follow-up (Dream Police), associated singles and tons of touring in support of all these records finally earned Cheap Trick an A-list band crown. In 1980, the band hired George Martin to produce the important follow-up to Dream Police. While the resulting album (All Shook Up) has its fans (and just as many detractors), upon release, it fared worse than the two previous albums, despite the potential of the band paired with Martin. Far more disturbing, bassist Tom Petersson exited the band after the album was completed, but before it was released. “Stop This Game,” the first (and only charting) single from the album, opened with the final chord of The Beatles’ “A Day In The Life” peaked at #48, ending the band’s winning streak of hit singles. It would take eight years, which included the return of Petersson and singles written by outsiders before Cheap Trick made a return to the top of the charts. Kansas, the huge 1970s band from, well, Kansas, found itself in a bit of trouble by the early 1980s. Its brand of prog rock played by hairy guys in overalls, was no longer considered fashionable. (Particularly in the early days of MTV.) 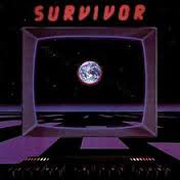 To make matters worse, vocalist Steve Walsh elected to go solo after 1980s Audio Visions album. 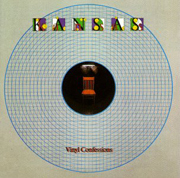 So in 1982, Kansas’ future was far from certain. With their most recent hit several years in the rearview mirror, the band had to come up with their A material. But first there was the pesky task of hiring a new vocalist to replace Walsh. After extensive auditions, the band hired John Elefante and recorded Vinyl Confessions. Trivia: Rumor has is that Sammy Hagar and future King’s X bassist Doug Pinnick auditioned for the front man role in Kansas. After the successful Eye Of The Tiger album and tour, the band returned to the studio to record its victory lap album, Caught In The Game. While Tiger (the album) peaked at #2 (kept out of the top spot by Fleetwood Mac), Game only managed an anemic #82 and the single only dong slightly better, peaking at #77. Right when the album was released, vocalist Dave Bickler underwent vocal cord surgery and was replaced by Jimi Jameson. The band went through a second successful act, placing several more singles in the top 40 and producing one of the melodic rock genre’s all-time classic albums, 1984’s Vital Signs. Trivia: Vocalist Dave Bickler was the voice behind Bud Light’s “Real Men of Genius” ad campaign in the 2000s. Generally speaking, rock bands really don’t last very long without members leaving (or dying) mostly due to an inability to play nicely with others. (Although ZZ Top and U2 might tell you otherwise.) Living, working and traveling with a bunch of dudes is like being married to several others at the same time. Needless to say, whenever bands are involved, there are going to be issues that lead to breakups, firings and the like. Sometimes, the people who quit (or are fired from) a band use that event as the inspiration for a new song. Today, we’re going to visit five of these departures, all of which have inspired a song based on the split. For a couple of years in the pre-Led Zeppelin late 1960s, no touring blues-based rock band was bigger than Cream. Labeled (perhaps unfairly, to their ultimate detriment) as the first “super group,” the trio of Eric Clapton, Jack Bruce and Ginger Baker were certainly a volatile combination. Actually, Bruce and Baker were the ones who couldn’t get along with each other, an issue that predated the band by several years, when both were unknowns in the thriving London jazz and blues scene. 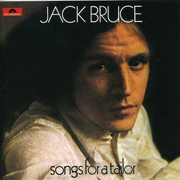 So in 1969, with the band now defunct, Bruce released his first solo album, Songs For a Tailor, which included his most famous song (outside of Cream), “Theme For An Imaginary Western.” The melancholy track was the fitting tribute for what happened next; the album peaked at #55 on the charts, while Clapton and Baker’s new band, Blind Faith, released an album (the only one, it turned out) that topped the charts for two weeks that September. Trivia: “Theme” was covered by Mountain at the original Woodstock festival and was featured on their debut album the following year. 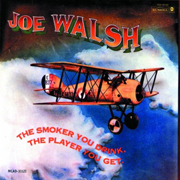 Joe Walsh got his start with Cleveland-based James Gang, a power trio whose first three albums are considered classics by students of the genre. A few tracks, namely “Funk #49” and “Walk Away” are still classic rock radio staples (not to mention at Eagles concerts years later after Walsh replaced Bernie Leadon). Unhappy about having to shoulder the load of being the vocalist as well as sole guitarist (not to mention primary composer), Walsh quit the Gang and ended up in Colorado to ponder his next move. Starting fresh with a new band named “Barnstorm,” Walsh wrote “Rocky Mountain Way” about the freedom he felt not being constrained by the limitations of his old band. Unfortunately, he eventually felt victim to the strain of being “on his own,” so when the Eagles offered him a place in the band two years later, he happily accepted. Trivia: “Rocky Mountain Way” was the first hit featuring the “talk box,” a device later made famous by Peter Frampton and Bon Jovi, among others. Genesis, in its original incarnation, was a cult band. A large one. Toe tappers like “The Return of the Giant Hogweed,” “The Battle of Epping Forrest” and the epic 23-minute “Supper’s Ready” all but guaranteed that they weren’t played with any regularity on rock radio; the band made mark on stage. Which meant life in the band was a Groundhog Day of writing, recording, rehearsing and touring. Vocalist Peter Gabriel was the face (and figurehead) of Genesis for the first half of the 1970s, and midway through the decade when he needed to call time for family health purposes, it looked like it was all over for the prog band. While no ill will occurred between the members during the transition, when Gabriel stepped away from the band, and in true musical chairs fashion drummer Phil Collins stepped up the microphone and the show went on. Both acts – the Collins-fronted Genesis as well as solo Gabriel quickly eclipsed the success of the original band in terms of sales as well as airplay. Peter Gabriel’s first album, released two years after his exit, contained “Solsbury Hill,” featuring (mostly) an unusual 7/4 time signature, was his musical account of walking away from Genesis. No word came from his former bandmates, at least until Phil Collin’s memoir was released in late 2016. 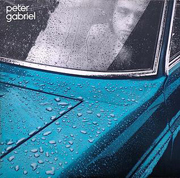 Trivia: Peter Gabriel’s first three albums were all titled “Peter Gabriel.” Fans have differentiated them by nicknames; “Car,” “Scratch” and “Melt” due to the artwork. In the late 1970s, it was hard to find a band larger (or more popular) than Styx. After slugging it out for over a decade, the Chicago-based outfit finally hit the big time with The Grand Illusion in 1977. Illusion and the three albums that followed (Pieces of Eight, Cornerstone and Paradise Theatre) each sold more than three million albums, being the first band to achieve this sales figure consistently. But in 1983, leader Dennis DeYoung’s dramatic concept album conceit, Kilroy Was Here alienated the fans and created resentment from other members, notably guitarist Tommy Shaw. At one point during the Kilroy tour cycle, Shaw was said to have “hurt his hand on a hotel room window, resulting in the postponement or cancellation of several shows. (Note to any budding publicists reading this: No rock star has EVER hurt his hand on a hotel room window. Just tell the truth – he was increasingly unhappy and drowned his sorrows with copious amounts of booze and blow, and locked himself in his hotel room, only allowing in his pusher, room service and selected groupies to enter.) Anyway – on his second solo single after leaving Styx, Shaw told the musical story of his frame of mind after his departure. 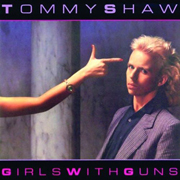 Although Girls With Guns with a moderate success, all of Shaw’s subsequent solo releases went nowhere. Trivia: After the failure of his third solo album, Shaw bounced back with the 1990 super group Damn Yankees, featuring Ted Nugent, Jack Blades and Michael Cartellone. So, Perry went ahead and released his hugely successful Street Talk album (remember “Oh Sherrie?”), and mom, not wanting to steer her darling boy wrong, advised him to return to the band that made him famous. Perry did so, but took dictator-like control of the next album, Raised on Radio, and kicked out long-time drummer Steve Smith and founding member, bassist Ross Valory in the process. Radio proved to the swan song for the band; Perry walked away at the end of the tour in early 1987. He released a second solo album in 1994 and even reformed Journey in 1996 for a new album, but in a déjà vu moment, he walked away, leaving the group in limbo once again. Little has been heard from him in subsequent years; he has truly become the Howard Hughes of the classic rock era. Trivia: Journey’s “Don’t Stop Belivin’” is the largest-selling digital single from the pre-digital music era.